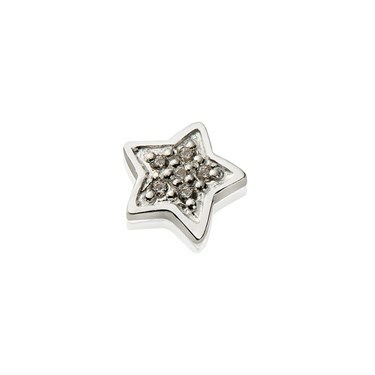 For a radiant and sparkling flourish, add this silver star charm to your collectible Storie charm locket. Crafted from sterling silver, this star charm is accented with a collection of glistening cubic zirconia crystals for an eye-catching addition to your Storie charm locket. Each custom Storie locket is designed to be opened and personalised with your choice of floating charms which hold significance with you - creating truly treasurable Storie lockets unique to you and your journey.